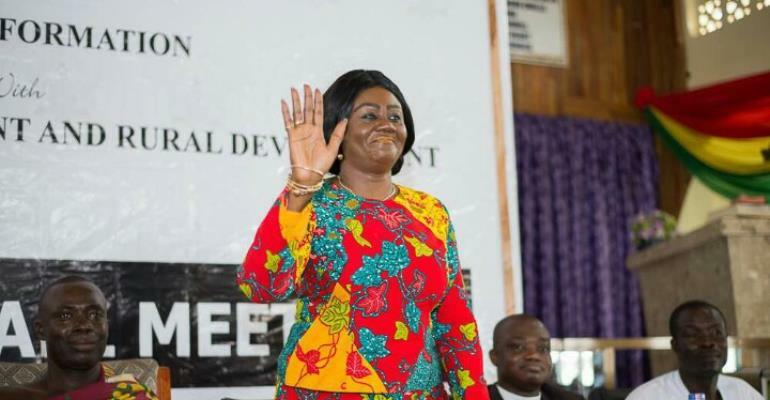 The Member of Parliament (MP) for Prestea-Huni Valley Constituency of the Western Region, Lawyer Barbara Oteng-Gyasi has sent her goodwill message to all contestants in New Patriotic Party (NPP) executive elections. In her statement, the Deputy Minister for Lands and Natural Resources urged the contestants to play by the rules and regulations guiding the polls. She also appealed to them accept the outcome of the elections and accept it with equanimity. "I wish to take this opportunity to wish all contestants in NPP Prestea Huni Valley Constituency executive elections well as go to the polls on Tuesday 27th February, 2018", she wished. She added, "May the victors celebrate in moderation and better luck next time to the vanquished. I wish to take this opportunity to wish all contestants in NPP Prestea Huni Valley Constituency executive elections well as we go to the polls on Tuesday 27th February, 2018. Pursuant to our party's constitution article 7(26) we are embarking on this all important exercise in readiness for the next general elections in 2020. This is the single most important reason why we all have to ensure we go through this exercise peacefully and with utmost decorum to ensure we emerge as one strong and united party. It is my fervent prayer that we all behave responsibly before, during and after the elections bearing in mind that the destiny and the future of the great NPP party in the Prestea Huni Valley Constituency lies in our hands and that we cannot afford to disappoint. To this end I would personally like to extend special thanks to the current executives whose hard work and dedication to duty ensured victory in election 2016 . I am hopeful that their good work will be recognised by the delegates. I would like to once again wish all of you contestants well. Whatever the outcome of the elections let us all accept it with equanimity. May victors celebrate in moderation and better luck next time to the vanquished.